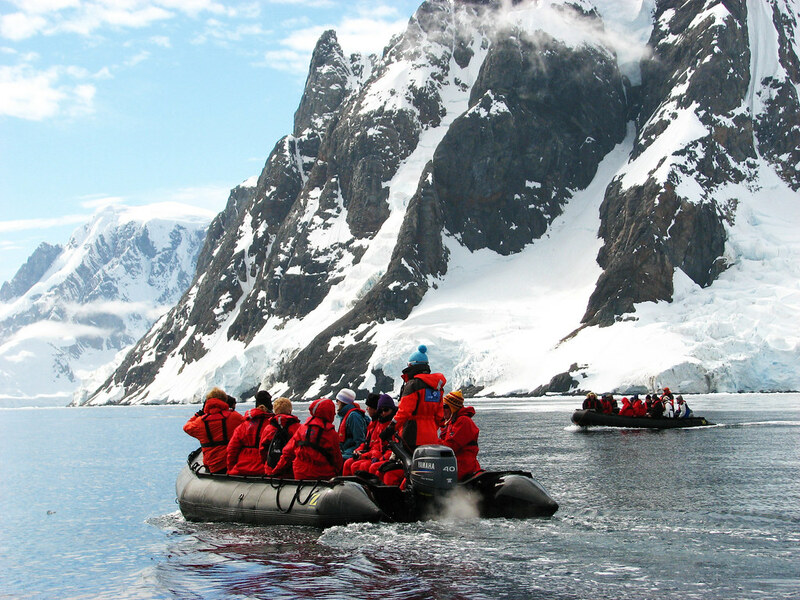 Australian polar travel specialist, Active Travel, is offering an international flight saving of A$1500 per couple as well as two free nights in Ushuaia for bookings on an 18-night voyage by ice-strengthened expedition ship to Antarctica this October. This special offer, valid until sold out, applies for an October 23, 2015 departure and includes a A$1500 flight saving per couple, complimentary polar gear and two free nights' accommodation at Ushuaia, including breakfasts, before travellers embark on the 18-night 'Falkland Islands, South Georgia and Antarctica' round-trip cruise from Ushuaia - the most southern city in the world - aboard the expedition ship, Akademic Ioffe. The in-depth expedition is the longest Antarctic itinerary offered by Active Travel, and guests will be accompanied by Active Travel founders, Robert Fletcher and Christine Pearson, who will share their love for the great white continent. The voyage will take passengers to the Falklands, home to a profusion of seabirds and migratory birds, and then the remote island of South Georgia where thousands of king penguins cake the shores. The itinerary includes a visit to old whaling stations and the grave of history's most famous Antarctic explorer, Sir Ernest Shackleton. The voyage continues south through the rugged South Shetland and South Orkney islands before reaching the coast of Antarctica where four days are spent exploring the great white continent and visiting scientific research stations and historic huts during daily excursions by the ship's zodiacs. The opportunity to spend a night camped on the ice may also be possible, weather permitting. Including onboard lectures, meals and zodiac excursions, the 20-night package is available from US$14,495 per person, twin-share. Bookings will include two free nights' accommodation with breakfast in Ushuaia prior to the cruise and a flight credit of A$750 per person flight credit to be used towards international flights to Ushuaia booked in conjunction with the cruise through Active Travel. Other pre/post cruise accommodation and touring around South America can also booked through Active Travel.